'Avondale Farms', the Joseph Wright Harriman estate with alterations by Alfred C. Bossom c. 1918 in Brookville. The house was originally built for Philip Livermore by Hoppin & Koen c. 1910. Click HERE for more on 'Avondale Farms' and HERE for interiors. The residence has since been demolished. Photo from the Aiglon Archives. Quite the sad decline and ending for the once high flying Joseph Wright Harriman. Scandal, jail, broke, and health issues. Rather curious his was the first 24-hr bank in the world. 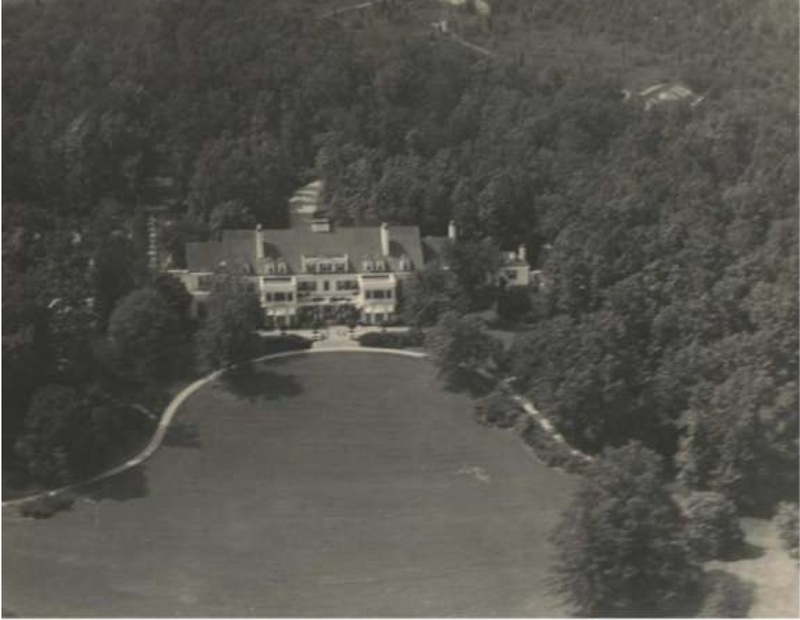 As an aside his business partner and cousin, J. Borden Harriman's large country estate (c. 1901) in New Castle/Mt. Kisco NY called Uplands (and later Devonshire) languished for years on the market until it was remarketed to an international audience. 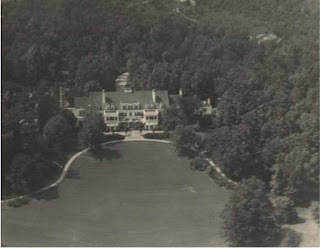 It sold for a record setting price(for all Westchester Co.) of $21.5M for the 101-acre estate in Dec 2012. Sadly, Uplands/Devonshire was demolished by the new (Qatari?) owner. A grotesque faux chateau rises in its place.